Check-out hotel. Continue orientation tour Munich – the Olympic Stadium, BMW Museum. Drive to Prague in the afternoon. Breakfast at the hotel. Continue Prague orientation tour – Prague Castle, the Astronomical Clock, Charles Bridge, Old Town square and Cathedral of St. Vitus. Breakfast at the hotel. 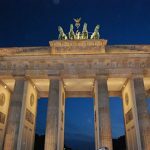 Check-out hotel and drive to Berlin via Dresden and Teltow Stadt. Breakfast at hotel. 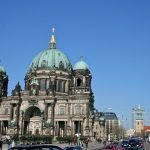 Berlin orientation tour – Berlin TV Tower, Brandenburg Gate, Unter den Linden Boulevard, the Reichstag Building, Tiergarten and Kurfürstendamm famous for its shopping and entertainment. Breakfast at hotel. Checkout hotel and drive to Warsaw via Poznan. Breakfast at hotel. Warsaw orientation tour – Old Town, Palace of Culture and Science, Wilanow Palace, the residence of Polish King Jan Sobieski III. Breakfast at hotel. Check out hotel and drive to Krakow via Czestochowa – visit Jasna Gora Monastery and Oswiecim. 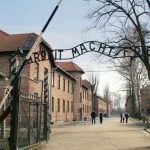 Visit Auschwitz and Old Town. Breakfast at hotel. Check-out hotel and drive to Budapest. The rest of the afternoon at leisure. Breakfast at hotel. Orientation tour Budapest – Parliament, the Great Synagogue. 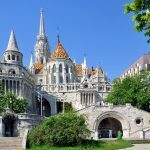 Castle District, Fisherman’s Bastion, Matthias Church and the Heroes’ Square. Breakfast at hotel. Check out hotel and drive to Vienna via Bratislava. 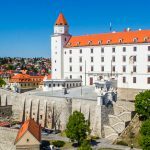 Orientation tour Bratislava – Presidential Palace and Old Town in Bratislava. Continue to Vienna. Shopping opportunity at Kärntnerstrasse. Breakfast at hotel. Orientation tour Vienna – Old Vienna, Hofburg Palace, Opera House, St. Stephen’s Cathedral and ‘Am Hof’. Breakfast at hotel, check-out hotel transfer to Vienna airport for departure.